Should I start a blog that addresses multiple topics or have a different blog for each topic? This is a question I get emailed about all the time and as such I thought it would be a good way to kick off a new segment here on Blog Tyrant where I publicly answer your blogging and online marketing emails (with permission!) so that everyone can read them. If you’d like to ask me a question just send me an email or leave a comment on this post. So let’s dive into this first one. I did a quick search in my inbox and noticed that I literally get asked this question at least once a week. When you do start a new blog it can be a really confusing process, especially if you aren’t entirely sure what your blog’s topic should be. Here are a few thoughts on this issue based on my own experiences. Generally speaking it is quite difficult to find small to medium-sized blogs that successfully cover many topics. For example, if you look at a blogger like Heather Armstrong who writes about lots of different things, you’ll notice that even then all of those topics fall under the brand of “Heather” in that it is all from her own experience and that’s why people read the site. 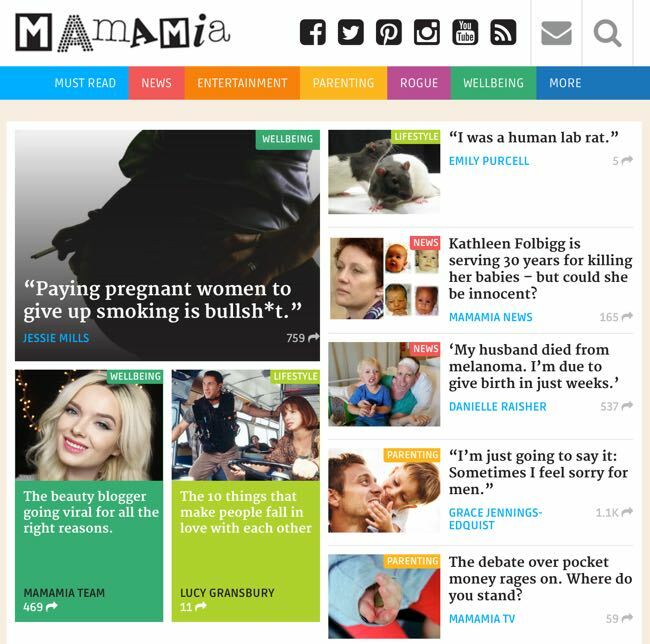 Similarly, the popular Australian site Mamamia covers many topics all under the brand of “what everyone’s talking about” which allows for quite a diverse range of subjects. But the thing you usually notice about successful multi-topic blogs or websites is that they are usually run by a large team of writers and staff the focus quite heavily on a vast quantity of articles. This type of setup can be extremely difficult for a new blogger to work with. Firstly it’s important to note that running a multi-topic blog is a lot of work if you want to do it correctly. It’s a lot of information to be across. If you’re thinking of a “personal” style blog it often comes across as being quite boring. People don’t often want to read about your thoughts on everything unless there is some point of difference involved. If you are writing about gluten intolerance and politics all on the same blog, it’s going to be very hard to find your target audience which can make it hard to monetise and find ways to grow traffic. Well, to me it seems like the most successful bloggers are ones that focus in on a very specific niche and approach that niche in a way that is really distinctive. 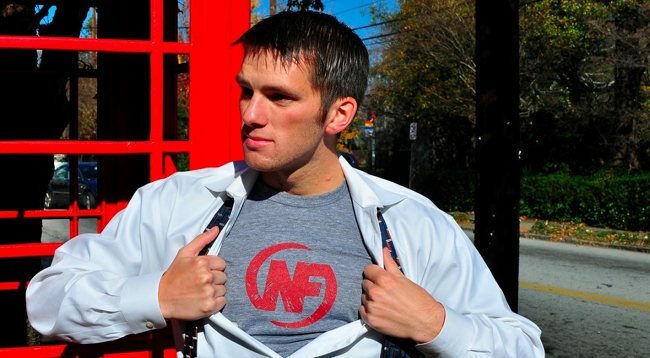 One example that I often refer to is Nerd Fitness – its broad niche is fitness but then it goes even further and just focuses on being about fitness for nerds. This might seem like cutting out a large audience but it actually does the opposite – it becomes hyper relevant for a large group of nerdy people. What if I have many topics to write about? The next problem in this process is if you really want to write about multiple topics. Well, if you are just starting out I think it’s a good idea to really focus in on only one blog with one topic and make it as successful as possible. The reason is that if you start many new blogs all at once you’ll often find that you do all of them in a half-baked way. By focusing on one big blog you can learn about what makes it successful, and then you can actually invest money from that first blog to get help with the second and then the third. 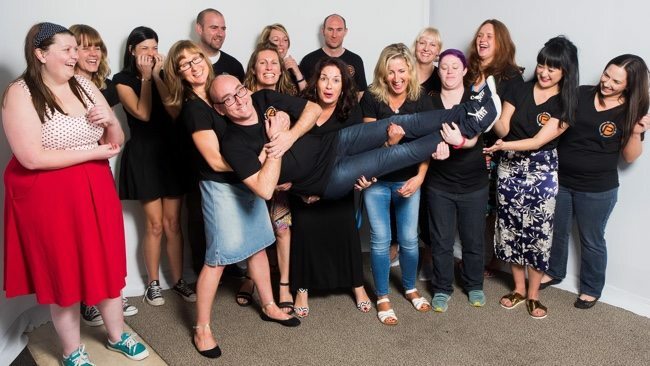 One of my favorite examples of someone who does this well is Darren Rowse who runs multiple successful blogs. There’s Digital Photography School, ProBlogger, Feel Gooder and TwiTip. If he were to put all of these on to one blog it would be a branding nightmare. But it’s also good to remember that he doesn’t run all of these himself. He has a large team that he’s gradually grown over the past decade. You can see them in the photo above. I’d really like to know if you have experience running multiple blogs, or whether you added multiple topics to one blog. Did it work? Was it a mistake? I know everyone has different opinions about this one so please leave a comment below and let me know. I think just keep testing and observing. If you’ve made the leap, keep going. This is something I’m working through right now. We are starting a new photography blog – and I’m unsure how tight to make the niche. If it’s too broad, it will be like a multi-topic blog. Our previous blogs have had a very narrow focus and were successful. What I’m unsure of, is how broad to make this niche. Why do you want to make this one broader? This is something I’ve pondered for a while. I’ve used the example before about Mark Manson, and how he transitioned his blog across multiple topics as he grew his audience through the years. 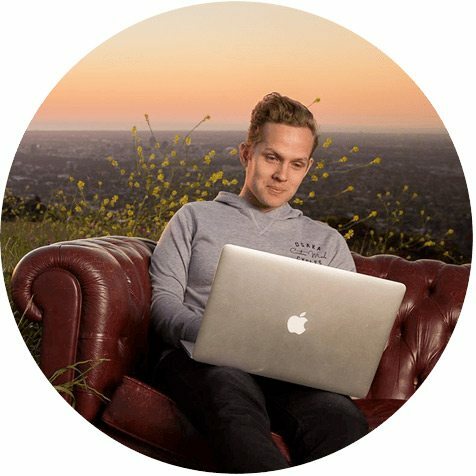 Starting off as a dating website for men, branching into general male self development – adding in lifestyle stuff like Entrepreneurial topics, travel and Ferris-esque hacking before settling into personal development based on psychology and science (still with the other stuff now and then). It worked for him, but he has said in the past he’s often stuck on branding and the amount of website re-designs and name changes he’s gone though is ridiculous. Yet it’s now one of the biggest websites in the world for personal development. Personally, I’ve gone through tons of mini niches within my own website – but all linked to personal development, so there is method to my madness, even though I want to narrow it down. Question. I know you’ve stated you get a lot of traffic from certain articles you don’t feel are relevant to your overall branding moving forward – is it a good idea to slowly cut these branches off (potentially harming traffic) or to leave them be, and just bury these bits and pieces under the stuff you want to write about in the future? I reckon 10% of my traffic comes from an article that I wrote in my first couple of months blogging which has no relevance to me now..
Cut it or bury it? Thanks for the article.. it’s got me thinking again..
Yeah I have one article on here that gets about 1500 uniques a day and does nothing for the brand itself. That being said, because it has so much traffic it’s more likely to get backlinks from people who see it and I do feel that has a beneficial effect for the site as a whole. Thoughts? I see your point. It’s giving your site added authority and strength – and if only a few visitors return, that’s at least a few hundred extra a year… potential spenders too. Out of interest what article is that again please? I would like to compare it to your current articles. 1. An un-focused web site is not helpful. When I search for a topic and check out a google entry, I’ll want the most relevant page but I’ll also want a site that’s related to the topic. This way, I can learn more via that site instead of bouncing around web sites. 2. READERS LOOK HERE! I’ve never seen a “multi-topic” blog post on the first page of google results. A site focused on photography could have articles on macro-photography, selling photos online, and edit photos via photoshop. Those are all related. However, a site that jumps from one topic to another needs a team of great writers cranking out daily content. For a new blogger or even “small” site owner, pick a niche topic and focus focus focus. That’s how you sell ebooks and videos and niche-related products by developing TRUST. Be a huge big-box store or a small niche store. Chris, I really love your first point and I guess that’s true of me as well when I’m looking for something myself. I just have a personal blog that I started six months ago and I’ve known that I need to pare it down and decide on one thing to focus on. Your point helped make that clearer from a reader side of things. Thanks. I love your site and the focus. I can tell right away that it’s the site I’m looking for for info if I’m running sound at my church and would be a place I would keep reading through if I landed there from a shared post. Nice work! It was either that niche or people under 20 who love sweater vests. I thought the latter would be too competitive. I think this is a great and helpful post for people looking to rebrand or start a blog and I think your point about having a team for multi-focused blogs makes so much sense! This is part two of my comment rather than really a reply to myself (because that would be weird). In thinking about this more, I had the sort of realization that sometimes blogs are organized around a THEME or idea rather than a niche. My theme is a celebration of the chaos that is being a parent…and having your own life, too. So my topics are wider, but they all fit under that theme, which ties them together and runs through all the posts. I do still think niche blogs tend to be more successful because of the clear pinpointing of audience, but for those who are talking about a variety of subjects, considering a main theme might really help with cohesiveness. You know exactly what you’re doing. I’ve seen it. We wanted to create a site that focused on one breed of dog, shih tzu. We considered a blog that was about dogs in general (all dogs) in order to appeal to more people but it would really dilute the message and the audience. Now, a couple years later, our Facebook fan page has 86,000 fans, all of whom are shih tzu lovers. Most of them own shih tzus and wanted a place to post photos and talk about shih tzu issues and cuteness. I don’t think we would have had that kind of growth if we had tried to be all things dog to all breeds of dog. So, for us, focusing really helped attract an audience. It’s hard to know how any topics to include in a kind of ‘umbrella’ niche. Or which topics will become most popular…I’m playing it by ear at the moment with my blog. I agree one writer can be boring, so I’m scouting for guest bloggers to promote. Another great post, btw, Ramsay! Love your Articles/ blogs They are so helpful and I signed up to blog through your recommendation to blue host Have had a few problems getting started but getting there I had planned to do a multiple subject blog with guest bloggers but now I’m even more unsure than before!! I’m glad you’ve found it helpful. What problems did you have? I am trying to cover multiple topics – like a Goodhousekeeping or O’Magazine without processed foods. I’m finding it is incredibly difficult to brand and grow! This is my site: http://www.mindovermessy.com. Your post is so timely! Do you feel like it’s too broad? Until you are established in a specific niche, it is almost impossible to branch out. You essentially commit brand sabotage. This is a problem that is very widespread with bloggers and leads to blogging burnout. I have made this mistake before personally and it really is discouraging. Think about it; if you are all over with topics, a first-time guest is overwhelmed. You may think it all falls under the umbrella of “you and your interests” but to the casual viewer/reader who is wanting a problem to be solved, your website looks more like a junk drawer than a resource. Yeah I think that is often the case. It needs to be very focused. I have the best of both worlds, because my main blogging concern is for my Life Coaching practice, but I get to write about many different things such as dating, finances, diet, fitness, relationships, career and work, recreation and spirituality, because everyone who comes to my site has something they are working on, and it may not be the same as the next person who visits. Yeah I think that niche is one that allows for it. Steven Pavlina did very well from it. Having multiple blogs, scatters the amount of hard work which we invest. Either you become jack of all or master of none. ‘Master of all’ is a rare case. The day I had decided to start a blog, I told myself to focus on just one thing at a time, since it is not much hard to imagine that how much messy things can get! A blog with one specific topic – great! A single blog covering many topics – fine! Trying to do everything at once, can make your efforts seem worthless, and would not give the expected output. Great as usual! Bless you Ramsay. You’ll be great at whatever you decide to do (just the way you do it now). I know many bloggers recommend to continue with a niche based blog only, but unfortunately whatever niche blog I have started are not clicked yet. Although I am not a full time blogger, but one of my multi-niche blog http://www.mydailylifetips.com has been clicked and giving me little return. From my experience so far, I am highly impressed with lifehacker, mashable etc. I also know that they are unique. But whatever I have realized, is it correct? Are there other multi niche blogs who are making money? There are many, but it’s usually harder and involves a team. Good luck! It’s a tough one for me, too. I started online with career consulting and still sell products through that site, so I’m reluctant to give it up. It’s a very specific niche – midlife career strategy. However, that audience likes shorter posts and videos, so I try to post 2-4x a month, with content I’ve already created. My current blog was more generally about copywriting and then marketing but I realized the focus should be even narrower, so now it’s on websites specifically. I wish I’d been *really* specific from the get-go. Has it been better since you narrowed the focus? One blog Ramsay, is how I see a person could cope. Great, thought provoking article! You just reminded me of what has made my larger blogs successful. I have several blogs, and in my experience, I’ve only had success with multiple topic blogs when I’ve had an overall theme for the blog and split it up into categories within that theme. For example, a blog on hunting dogs (which is a sub-niche of the larger dog theme) would be broken down into categories. The categories could be beagles, labrador, etc. That very question was the reason for me surfing all day yesterday which also led me to blogtyrant. I reckon you know your target group. Thanks to all of you sharing your ideas. 15 years ago I had an online diary on a specific hobby for two years. Today, I sometimes feel I have to give 2 cents to everything, not a master, rather an “apprentice of all”. My guess is that a blog about (one’s) life would be a multi-topic blog on a single topic. Yeah I think the “journal” style blogs are a bit hard to make work these days. People need something more focussed now. Unless you’re starting a personal/lifestyle blog, I wouldn’t try to blog about anything & everything that interests you. Narrow things down – preferably to the topics you’re most passionate about/the ones you feel you can write the most about. If you want to write about a topic that has lots of subcategories in it, or has a lot of related topics that all can fit under the same umbrella or interest group – that’s no problem at all. We run a survival blog but it concentrates *very* heavily on gear and gear reviews, something no one else in my industry is doing. Our blog also covers topics on prepping, personal finance, security, etc. This is all well and good, and works, because it’s under the same “interest umbrella” to an extent. Those who aren’t into everything we write stick around for the types of posts that they are into and just ignore the rest. Which is fine. Not every article will appeal to everyone. Make things easy to browse based on topic if this is what you’re planning on doing. And I’d also recommend trying to strike a balance between topics if you’re taking this route – so as not to bore the readers who are only really there for one type of post. When it comes to Google, I feel that they increase ranking quite a bit based on how many articles on a certain topic you have. So if you’re doing a personal blog and, say, have 80 articles on personal finance and only 8 on self development, your articles on personal finance will almost definitely be ranking higher in the SERPS. Chris said earlier that he’s never seen a multi-topic blog post on the first page of Google results. Part of this I think is because of what I’ve just said – Google likes it when you have more articles on a single topic posted on your blog. Another part, I feel, is because multi-topic blogs are just typically less likely to go in-depth on a specific topic. I do feel strongly that that probably has something to do with it. Also those rankings are about the links you get. Relevance is hugely important there. Ramsey, Have missed you site for sometime now, good to be home!! This absolutely solves the dilemma I’ve had going on for a few months now. Usually on my website I write about social media and young professionals, because the purpose of the website is to add value to potential clients. Recently, I’ve been doing less freelancing and writing less about social media. So I came up with a new writing project about my other passion, Brazilian Jiu Jitsu. Totally different topic. I didn’t want to create a whole new website but I’m 9 posts in and this is definitely something I want to keep doing – so it’s own blog it shall be! I think that’s the right decision. Let me know how it goes. I started blogging with other 2 friends in a blog called My Trendy Nine, which was about recipes, cool restaurants, beauty and fashion… at the end it was like a magazine…. and I have to say that it used to go pretty well for the little effort that we had put behind it. I am currently running three blogs one is one business and the other is on lifehacks the last one is one keto diet which is specific to a niche. After reading this post I have decided to test something new. I will write on my lifehackbuddy.com a series of posts, let’s say office productivity so there will be 10-15 article on that topic all connected, sort of mini course. Do you think that will make the multi topic blog much better? That’s not a bad idea. I think it’s always good to test things out and see what results you get. From a point of no authority and lots of experience I’d like to share a few thoughts. I have run several blogs with single topic and it’s true that they grow faster and monetize easier. I also have one that is multi-topic, personal blog. (It’s kind of dead for more than a year now life got in a way but you can click on my name and check it out anyway.) Now, while it was harder to promote and keep the audience around, it was a lot of fun and it does get traction (well, used to while I was active). It still does get hits and views. But it is really hard to monetize that kind of blog. Unless you are a writer, that is. Then it goes as a nice personal platform. Word of advice (fwiw)… if you do have, or plan to have, multi-topic blog spend some time and find out what unifies all the topics. It might be some broad, umbrella, topic or an attitude or at least, your personality and approach to life and world and different topics. As is case with Heather Armstrong’s blog. She writes about everything and anything, but the selling point of her blog is herself and her attitude. We read her posts on family/corporate culture/whatever not because we explicitly googled those topics but because we like her take on anything. The thing is different with MammaMia, but I’d argue that is not a blog at all but a magazine so it is quite different story. Really well summarised. Thank you. Great topic, and one we’ve almost all been faced with. 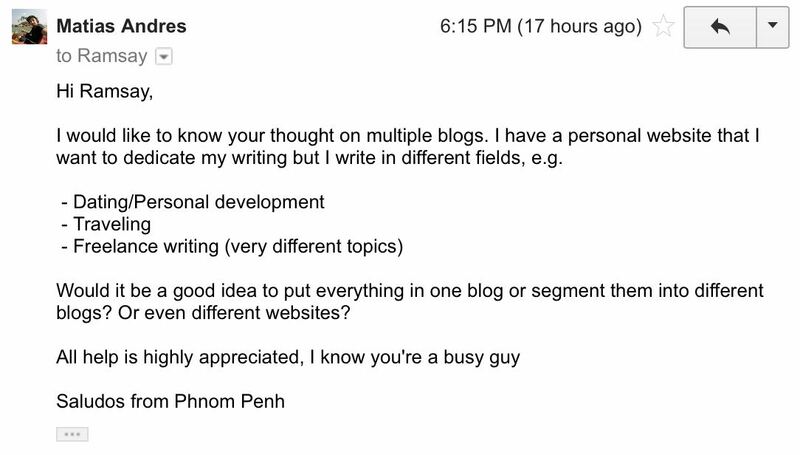 My suggestion in Mathias’s case is, pick thee subject you like best, and form, nurture, build out and make a blog on the subject the best it can be (Hey, and all three of those topics could make a good blog and even make money, there’s not a loser in the bunch). But when the spirit moves you to write a good article about one of the other subjects, then write it .. but don’t publish it, stick it in a folder under that subject. After a while look in your “other topic) folders and refresh yourself on what you wrote. 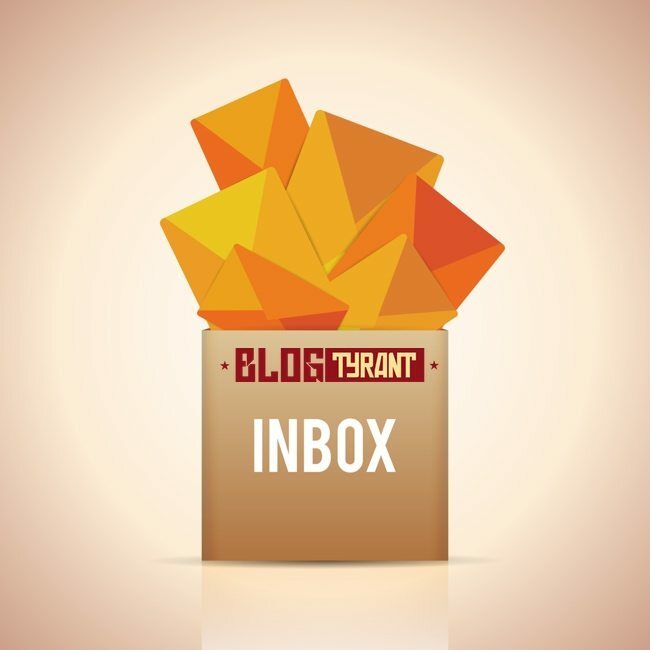 If you have, say, 50 “dran good” articles in that folder and you’re still interested, THEN launch a second blog with the materials you have already produced. Hope this helps a little. That is a really good and efficient idea. Thank you. Like every form of communication a blog must be considered from the reader’s perspective (always and only). If they read you, they must be interested in the topic you aspire to cover. If you wander off topic than you have lost them, simple as that! If you want to share material on various unrelated topics (or generalities) do it elsewhere, or face the reality of boring your audience. Ha ha. Harsh but probably fair. This is something I have been thinking on as I’ve started blogging. My blog is a “lifestyle/ personal” blog really but it is focused on moving and raising our family in a foreign culture. Which could entail a wide range of topics… from cultural differences, to the food in the new culture, to children in a new culture, to our own family structure, and dealing with moving…. Yet while there are multiple “topics” per say, this post helps me to remember to keep it centred around moving our family overseas and asking before I post, what does this have to do with moving a family overseas. Hi Ramsay, this is a good post and I guess that most of the bloggers have several different ideas of writing but they stick to only one niche or topic. I am also blogging on different topics but on one of my blog I am writing on more than 10 topics and getting a huge response from my readers. I think, this is the best ever idea of collecting multiple topics on a single place to attract diverse taste audience. But it requires a well planned design and placement of topics so that your audience easily differentiate or find the topic they are looking for. I am right on this? Over to you. Hi Mohinder. Unfortunately I’ve never been able to make a blog like that work well. I prefer them to be single niche topics or brands. I’m glad it’s working for you though! Thanks Ramsay for yet another awesome post, I own buildingthelife.com, well as the name implies I tlk about things that’d be profitable to a persons life in general, would u call dis a multiple topic blog or a niche blog…I pretty love what am doing, and though the traffic isn’t dat good, I am positive it will come alive. And from few searches I’ve done, I tink niche blogs are the best compared to any other, unless of course it’s owned by a very popular firm, but for a newbie, it usually isn’t funny. Keep testing and trying new ideas and you’ll see results. Your blogs are very helpful for a newbie blogger like me. I am still in the process of learning. It is really good that I subscribed on your website. i am new to blogging, though i have many things to know as a beginner but ramsay i read your posts daily. i need a favor from you can you please help me to guide me step by step like i am the beginner and i need to know the terms to know about blogging. Hi Sidra. I got all of your messages. There are lots of step by step guides here on the blog to get you started. Excellent topic for discussion. I think it depends on the person and how much time they have to invest in the sites they have. You need at least 20 hours to invest in a site, minimum with all the social media, blog posts, etc. So if you can find that time to invest for however many sites you operate, all the best. I run http://www.busywifebusylife.com, the busy woman’s guide to Food, Fashion and Finance. This definitely falls into a multi-topic blog. My site focuses on the three things that I love. I find that my readership varies from post to post but I have core readers that go to my blog for everything. I find that guest post add some welcomed variety to my my point of view. Thank you for the thought provoking post! As a new blogger, this advice helps in keeping me on the rails and moving forward believing in my niche. I’d much rather master the one topic than spreading myself to thin. Thank you for sharing. Yep. Agreed. It’s best to start a blog with a very clear niche and target demographics in mind.. and bring our own way of writing into the blog. What I also find great for growing a blog is to be slightly controversial as well – not by knowingly agitating others, but to state our viewpoints and bring it to the extreme to rile people’s emotions up and to attract more blog readers. I also was stuck with this question, as I am passionate about politics and culture, apart from my regular job. So I guess, I should start a blog dedicated to politics only, for the rest later. Thanks for sharing this article and asking the question here with us.. I’ve read most of the comments people already done here. So, We have to be very specific when we’re newbie and we don’t have a Good amount of money. So, What we can do with specific niche? We can easily rank with very specific niche and earn from Adsense and Amazon Affiliate platform easily. And It takes (From experience) 3-4 months to build up and Rank with good targeting keywords on Google and with all setup and that specific niche blog able to generate 300-500$/monthly 🙂 So, Isn’t a Good Idea? Now, Come to Multi niches. Health niche should be a one blog But it should be also a multi niche blog where we can write everything related with Health. But for that, We’ll need a lot’s of Articles. And To write a great content It takes 1-2 days for every content. But for Multi blog We have to publish a lot’s of contents. Monthly 60-100 Posts. And that’s not possible to a person. So, we need a big team with 20-30 writes or more or less. So, it’s really too much costly. for for build up and all setup and ranking a multi blog it takes 2-3 years and a lot’s of invest there and then It’s able to generate 50K-60K/monthly. And Hey, Don’t you think that income of the blog will increase day by day? So, Here you can earn 6000$/monthly within alone work within 3 years and on Multi blog you are able to generate 50K$/monthly with 30 Writers and also you need few developer to manage you blog etc. And within alone working without any invest just buying domains 12 blogs will cost 120$/yearly and hosting cost will be 100$/yearly. Total cost will be 200*3=600$ in 3 years.. So, Total invest will be 1260$ within 3 years. and you will able to generate 50K$- highest 100K$ not more than 100$K ! So, I hope, now you already got my point. I’ve already write 600+ words in this Comment. Hey, Lol, I’m writing any guest post for your blog 😛 But I hope your readers who will check the comment they will get benefit ! And I’m thinking to do write contents about Niche Blogging deeply 🙂 I invite to you visit my blog ! BTW, It’s now new but I’ll start posting very soon ! Ramsay, I agree with you on dedicating the blog a specific niche. From my experience a niche blog is ranked higher on Google(not sure about Bing) than a general blog that covers the similar topics but isn’t niched down. On my niche blogs I have often seen a rabid readership that’s ready to buy stuff because I am solving the problems. The question to figure out is which problems are the most expensive to solve. I’m with the blog having a single topic. It is easier to maintain, to monetize and grows faster. Having a multi-topic blog takes all the guts. But I’m not saying I’m against with that. If you can, then go for it. There’s nothing wrong if you can manage it well. All I want to say is be practical. As per usual great stuff from the Blog Tyrant. I agree totally with this post. If you are a single blogger, then try to focus on a single topic or at least variations of that topic. Also try to focus on things that you are passionate about. Thanks Ramsay for yet another awesome post, Your blogs are very helpful for a newbie blogger. I am still in the process of learning. It is really good that I subscribed on your website.